Founded by Milton M. Thomas in November of 1978 he grew Wire Cut Company from only one wire EDM machining center, a programming system and 1,500 sq. feet of electrical discharge machining (EDM) services to 20,000 sq ft Electrical Discharge Machining EDM machine shop facility. 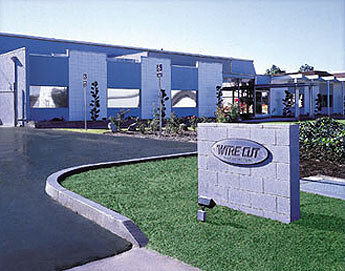 In October of 1978 Wire Cut Co. made its first move giving room for our first employee and the addition of a second electrical discharge machining services equipment. After incorporation in 1981 Wire Cut was up for a tough year in 1982. Although our sales growth was 35%, banks were telling us there was a recession and were reluctant to finance growth in such a young company. Wire Cut was too busy to participate in a recession that year. By 1983 we out grew our EDM machine shop facilities and expanded down the street where we would stay for 13 years. Our EDM job shop business continued to boom and by 1986 with 24 team members we had acquired a total of 10 wire EDM machining centers, 6 conventional EDM's and added machining to support our tooling. From 1987 to 1989 Wire Cut was busy with the expanding the Aerospace electrical discharge machining industry. Our contracts with General Electric and other companies led the way to add more wire EDM's, high speed EDM drilling and CNC machining centers. Our employee count reached 34 and we had increased our leasing space to 8000 sq. ft. EDM job shop facility. From 1991 to 1995 we returned to advertising at Job Shop Trade shows and Medical Design shows. 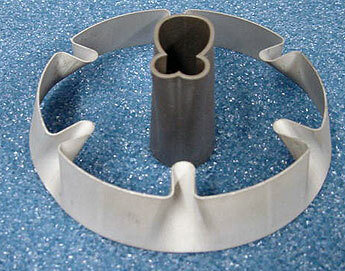 We continued to expand and developed several wire machining EDM medical customers who we continue to service today. In 1996 medical device manufacturing and semi-conductor customers pushed us to new heights. Aerospace customers had returned and we again had a record-breaking EDM machine shop year. On April 5th of 1996 we opened escrow on our own 20,000 sq. ft. building in Buena Park. We closed escrow in July and completed renovating the building for advanced EDM services before moving in on Dec. 27th. Today we continue to make leaps and bounds on our success with employee numbers past 30 and record sales each year. We have expanded in every area, including adding an orbital welder and a cleanroom to our facilities list. We are able to handle every area of light manufacturing including completed advanced electrical discharge machined parts, EDM Tooling, metal stamping dies, prototypes, and complex aerospace parts on all hard and tough materials. Our mission statement today leads us forward into the next chapter in electrical discharge machining expertise. Using cooperation and creativity to meet EDM design challenges has made Wire Cut Company a valuable asset to leading manufacturers in a wide range of industries.